Pigmentation mostly ruins the best of pictures also makes a person complexed because of not having the perfect version of complexion. Our professionals give the best advice on how to prevent pigmentation before it takes place. Pigmentation treatment is the newest magical thing out there right now. It not only allows you to have your perfect version of complexion but also removes any sort of acne giving you a younger and tighter version of your skin. Even though the recovery method and procedure of laser treatment is nothing like the orthodox methods but still after the pigmentation treatment your skin would require a little bit of attention and time from your side. Our specialized professionals perform the pigmentation treatment in Dubai. As the laser treatment involves removal of the dead layers and a new skin takes the place of the previous one. It’s important to keep your skin well moisturized. Some specialists recommend petroleum jelly or an ointment rub at the treated places. The moisture allows the skin to heal in a less amount of time by increasing its growth and productivity. After the surgery, the skin is in a very sensitive state. Even a very little amount of sun exposure can give you sunburns or red marks leading to spots on the skin. Sun exposure can be minimized by avoiding direct sunlight. You can also use sunscreens to keep your skin hydrated. Use a hat and cover the sensitive area around your eyes with glasses. After the surgery, it’s normal for the affected area to swell up. It’s very important to get rid of it as soon as possible because it can result in bulges or fat clusters. Swelling can be reduced by covering the area by ice or something cold. Follow a good skin care routine. Wash your face and hands thrice a day. Properly moisturize your skin with creams or ointments. Take special care during the winters and keep your skin especially hydrated during the winters. If you feel dry skin or a rash treat it instantly. 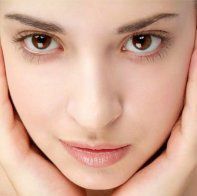 It’s normal to experience redness and skin peel after the laser treatment. The peeling doesn’t continue for long but can lead to skin redness if not treated properly. You can use a prescribed cream by our specialist to reduce peeling. Our clinics across Dubai cure pigmentation forever just like a magical wand. Our clinics across Dubai have cured a number of pigmentation cases permanently allowing our clients to have the perfect skin. Make an appointment and have the perfect skin.